Most of the year we have fairly mild weather. But the last couple of years, August and September have been really hot. 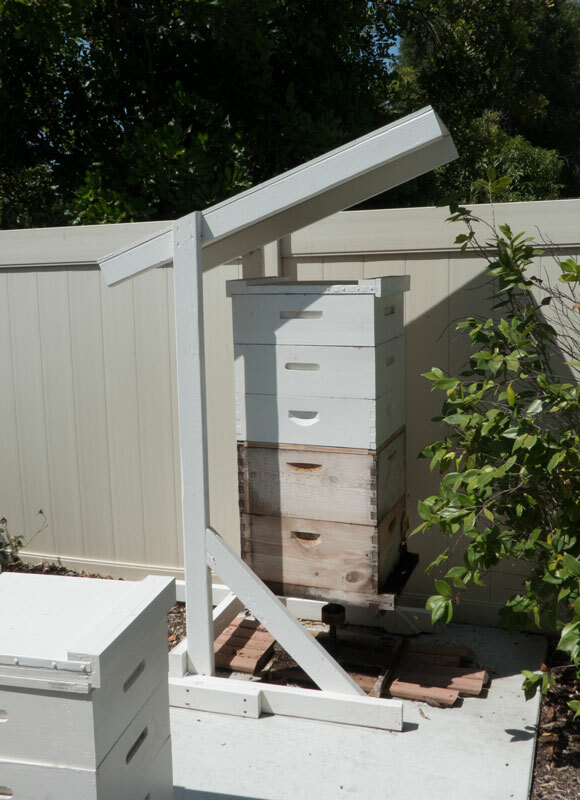 Having the hive sitting in the sun puts a load on the bees to keep the hive cool. I recently did a cutout and have a medium sized group of bees in a brood box. 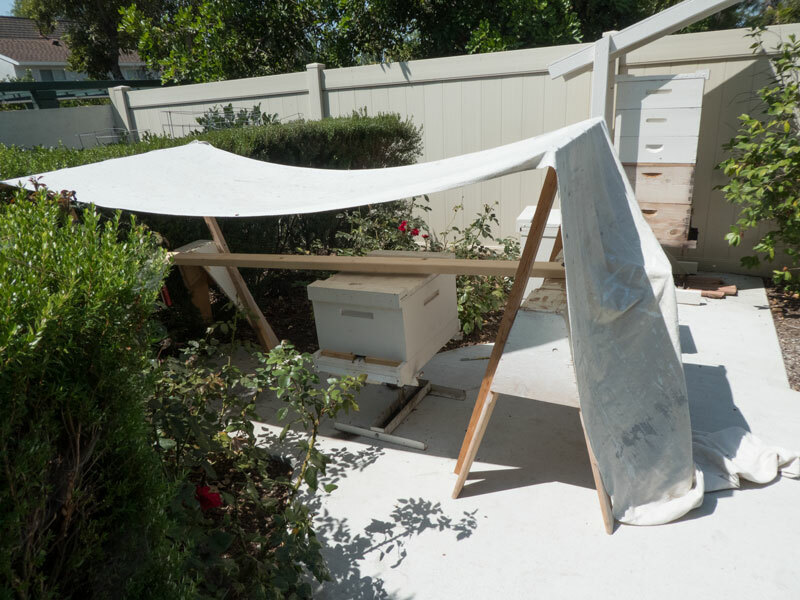 I wanted to protect them from the sun so I rigged up a shade until I could build something permanent. I took two saw horses and added some extensions to make a higher support for a painter's drop cloth. I stapled the drop cloth to the cross bar of the extensions. I was concerned that wind or rain might cause the saw horses to collapse inward so I ran a 2 by 4 between the two saw horses, making sure that the 2 by 4 did not touch the hive (and allow ants to get in). 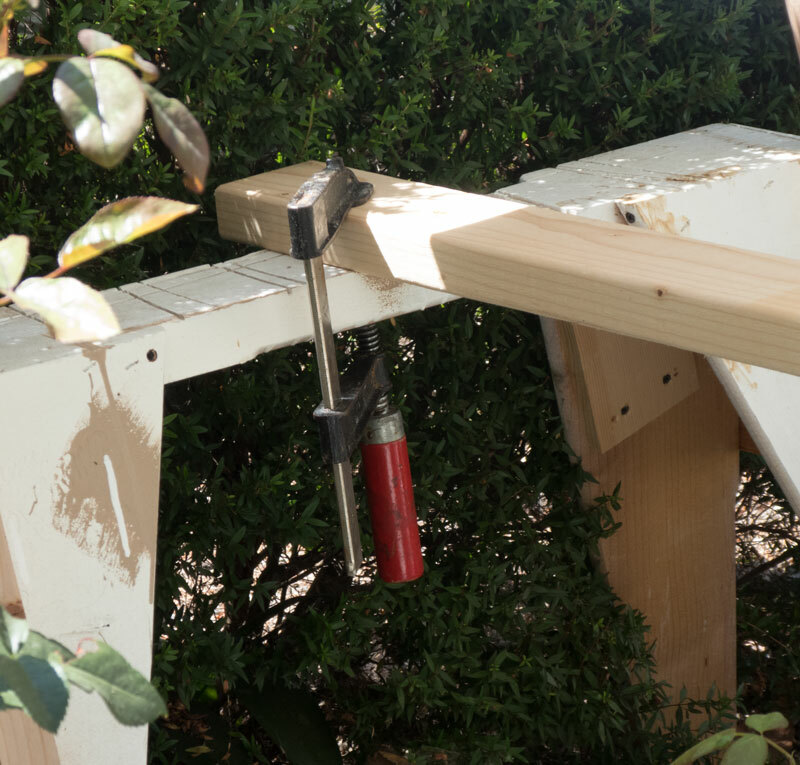 I clamped the 2 by 4 to the saw horses. This should work until I can build something permanent.